Let’s face it, the content marketers on your team are creative types. They tend to be more focused on building relationships than on hard and fast numbers like your SEO team. Let’s face it, the content marketers on your team are creative types. They tend to be more focused on building relationships than on hard and fast numbers like your SEO team. While that may sound like an unfair stereotype, it is based on facts: According to a recent report released by Contently 90% of marketers expressed uncertainty that their key content metrics are effective in measuring business results. It is time for all content marketers to use all of the data at their fingertips to their advantage. 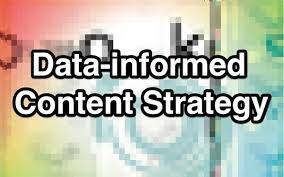 Content marketing should be treated like all other business strategies – based on solid numerical data. How do you start? Here are the metrics to track, ways to gather the data, and how to use that data to inform your content marketing strategy. In the beginning, you’ll need time and experimentation to learn which type of blog post works best for your audience. Do they like shorter or longer posts? Serious posts with lots of statistics or How To posts? Where do they like to read about you: LinkedIn, Twitter, etc? The longer you blog the easier it is to extract these numbers so you can stop experimenting and create content that you know your audience will appreciate. Before you know it, Google Analytics will become your best friend and data scraping will become your go-to tool. Blog scraping isn’t as technical as it sounds, thanks to tools like import.io, and guides like this one found on the blog OkDork. In less than twenty minutes, you will have a pivot table that includes each blog post, when they were posted, and the amount of social shares. With this data, you will easily be able to glean insights into your most popular posts, the day of the week that your posts perform the best, and which titles lead to the the highest levels of engagement. While there are a number of reasons for launching and maintaining a company blog, from branding opportunities to deepening relationships, let’s be honest: if you are are pouring money and resources into your blog, you need to see ROI. So how do you track the posts that bring you the most leads? Start by setting up Goals in Google Analytics. Here at Rivalfox, our goal is to have readers complete our trial registration form. Log into Google Analytics, drill down into one of your profiles, and click Admin in the top navigation. Enter a Goal Name, such as Bike Tour Lead. Enter a Goal URL, such as /thank-you.php. Leave the Match Type as Exact Match, unless you need to account for multiple variations of your goal or funnel URLs. It is often useful to enter a Goal Value even for unmonetized lead generation, since it allows Google Analytics to calculate metrics such as Page Value and Per Visit Goal Value. Once your goal is set up you can easily see what blog post result in the most leads or purchases and, if you see a trend in topics, you know to add more like it to your editorial calendar. Are your timely posts about the World Cup not bringing in the bacon? Use your data to perfect your editorial calendar strategy. While it is entirely possible to scrape the website of your competitor, upload it into excel, and reformat all cells in order to benchmark their numbers against your own, you can save yourself a lot of time with a competitive intelligence tool. By simply entering your competitor’s URL and heading over to the content marketing part of your dashboard, you can see the number of blog posts, the amount of engagement each post received, the days and time each post is published, and the corresponding social media distribution. Take this information and compare it with your own data to see trends that you can use. Pay attention to the types of posts receive the most attention, and which social channels are the most active for sharing. Refine your own content and distribution strategy based on the findings. Don’t just keep all of your data to yourself; use it to craft a compelling story your audience would be most interested in. Dating site OkCupid kills when it comes to using data to engage readers. OkCupid cataloged over 7,000 photographs and analyzed the data to create the super popular post The 4 Big Myths of Profile Pictures. OkCupid’s data proved that the Cleavage Shot is very successful, drawing 12.9 new contacts per month, or 49% more than average, but this positive effect actually trends against the effects of age. Other companies that have done a great job turning their data into a story include GrooveHQ’s blog where they shared their journey to $100k in monthly revenue. Their target audience, which includes new startups, are interested in their personal story. You would never estimate your bandwidth costs on a hunch, or guess about next month’s inventory. Your content strategy should be the same – data-driven, metrics-based, with clear ROI and solid support for your bottom line.